The carbon-fibre/glass-fibre/aramid SSL (Super Super Light) shell was designed using FEM techniques and features EPS internal ducts in the shell to provide a small, light helmet which is both comfortable and extremely safe. The result is a helmet that is significantly superior than the limits set by ECE standards and that weighs just 1350 g* in MS size. Unlike the Pista GP, the Corsa comes with a system for opening and closing the air vents which makes it a less extreme, more versatile helmet. The entire ventilation system was designed using computational fluid dynamic modelling and wind tunnel tests. This helmet is highly efficient at removing heat and moisture from the rider’s head. Thanks to its large rear spoiler, the Corsa boasts first class performance in terms of aerodynamic penetration and high speed stability. Overall, the visor aperture is 9% bigger meaning a 15° improvement in vision which obviously enhances the active safety factor. The fit of the Corsa was developed using “Human Engineering” whereby the design starts from the surfaces in contact with the wearer’s head. The inside of the helmet starts with a concave 3D structure that is pre-shaped to match the contours of the rider’s head and any surfaces in contact with the head are stitch-free. The Lycra® and Shalimar® sanitised internal components are fully adjustable due to the fact that the position and depth of the crown pad can be modified as can the thickness of the cheek pads. The combination of these solutions, which are covered by three separate patents, make the Corsa fit the different cranial shapes as never before . Shell and EPS dimensions optimized using the FEM (Finite Elements Analysis) system. Designed to maximise comfort, ergonomics, safety and aerodynamics. Designed to minimise interference with racing suits and protective speed humps. IVS (Integrated Ventilation System) with wide channels hollowed directly in the shell and holes that direct air flow to the rider’s head. Large rear spoiler optimised in a wind tunnel to maximise aerodynamic performances and ventilation even at high speed. Spoilerdesigned to detach from the helmet in the event of an accident to increase the passive safety of the helmet. Can be fitted with an external screw at bottom of the mechanism which reduces the risk of the visor detaching in the event of a fall (with Race screw kit). Visor front micro-lock system that reduces the risk of accidental opening, also in the event of an accident. Scratch resistant, anti-fog RACE visor (4 layers) with a wide viewing angle and 100% protection against UV rays. 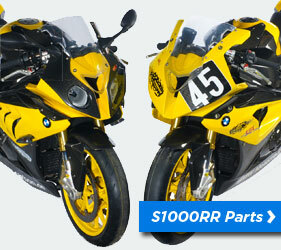 Comes ready for tear-offs and with tear-off film kits. The field of vision is 15° wider than on the GP-Tech and its main rivals and has been optimised for a rider lying over the tank. Overall field of vision increased by about 9% compared to the GP-Tech and the main rivals.